We are always aiming to offer the best customer service along with the highest quality Honda Certified Pre-owned and used vehicles on the market. That’s why only the best vehicles will pass our rigorous 101-Point Quality Assurance requirements and land on the front line. If a vehicle is Rockingham Certified, you know you’re getting the highest quality used vehicle. 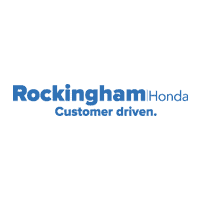 Rockingham’s constant commitment to quality, reliability, and customer satisfaction is the foundation upon which this program was built. As a newly launched program back in 2013, we are confident this will set Rockingham apart from the rest! Along with each Rockingham Genuine Certified Used Vehicle sold, you will get another advantage: a worry-free coverage policy. With a 12-month / 12,000-mile Limited Powertrain Warranty covering your vehicle from the date of purchase. Includes benefits of rental reimbursement, trip interruption, and emergency roadside assistance. *Seals & gaskets coverage does not apply if your vehicle’s odometer reading is greater than 100,000 miles on the contract date of sale. **When damaged as a result of the failure of a covered internally lubricated part. ***When required in connection with the repair of a covered part. A+ Rating on the B.B.B.